Version Note: This article describes the new TLS/SSL support in Relativity Server 9 and later. For using SSL with Relativity 8 or below please see here. 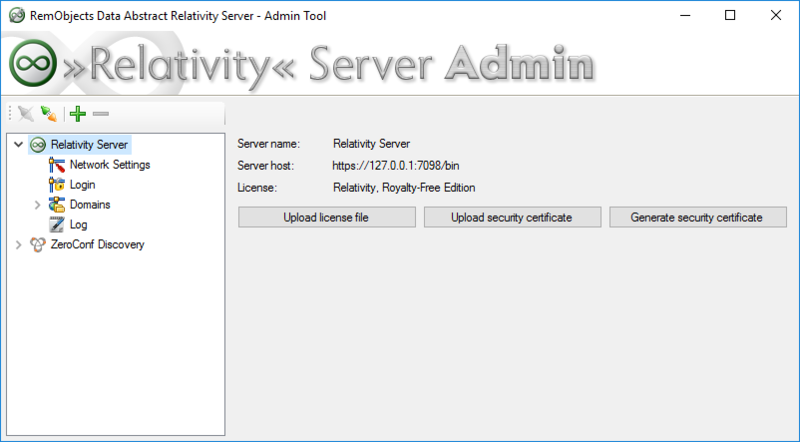 Relativity Server will automatically load any certificate found in a file named Relativity.p12 located in the Relativity Server's configuration folder. This certificate file (whether uploaded, or manually placed on the server) should be a PKCS#12 certificate file without password. Please note that by default some client OS (such as iOS or Windows Phone) will reject the self-signed certificates by default. You may need to manually register the certificate on the client, or you may neeed to add extra code to your client application to approve the certificate. See here for more information. 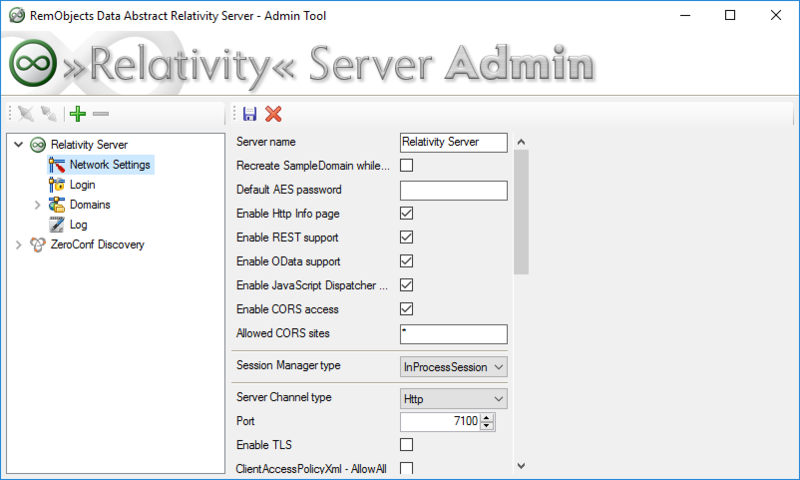 To make sure everything is working, open your web browser and go to the address of your Relativity server on port 7098 (e.g. https://localhost:7098). If the page opens correctly, then the security certificate was successfully found, uploaded or generated, and was accepred by the Relativity Server. Enable the option and apply the changes, and your server should be all set for secure access.